Edraw offers you a number of ready-made idef diagram templates which you can use in your drawing and free. Edraw is used as an idef diagram software coming with ready-made idef diagram symbols that make it easy for anyone to create beautiful idef diagram. 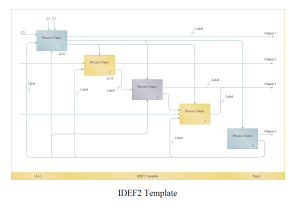 The idef diagram templates are easy to use and free. Edraw can also convert all these templates into PowerPoint, PDF or Word templates. 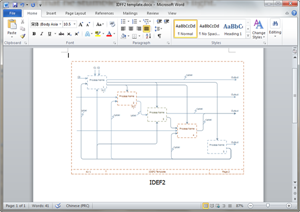 Creating an idef diagram in Edraw is easy. It only takes a few seconds to choose a basic template, insert text and images, and add the finishing touches. If you want to use a ready made template, go to idef diagram templates page and choose the IDEF Diagram that best suits you. When you finish creating your idef diagram in Edraw, one click on the Export button will transfer your drawing into MS PowerPoint presentation, and with no clarity loss. You need to consider few things when creating an idef diagram. 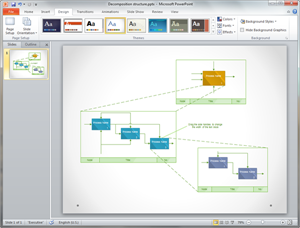 All are simple, only clicking on the Export PDF button will convert your idef diagram template into PDF. You can view the PDF IDEF Diagram Template to view the quality. What does IDEF0 Diagram Do? The model is an effective tool in detailing the system activities for function modeling. IDEF0 models provides an abstraction away from timing, sequencing and decision logic. However, it is easy to use IDEF0 for modeling activity sequences whenever needed. The hierarchical nature of IDEF0 allows the system to be easily refined into greater detail until the model is as descriptive as necessary for the decision making task. 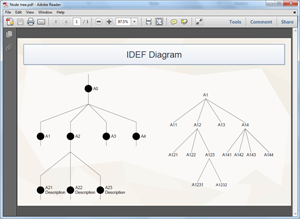 Discover why Edraw is an excellent program to create idef diagram. Try Edraw FREE.